Phoenix Wright: Ace Attorney Trilogy is coming to PlayStation 4, Xbox One, Switch, and PC via Steam worldwide in early 2019, Capcom announced during a Tokyo Game Show 2018 stage event. In Japan, a collector’s physical edition and e-Capcom limited edition will be released. 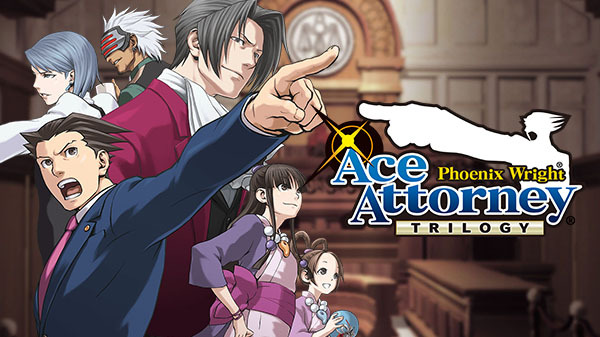 The collection includes all 14 chapters of Phoenix Wright: Ace Attorney, Phoenix Wright: Ace Attorney – Justice For All, and Phoenix Wright: Ace Attorney – Trials and Tribulations. It features both English and Japanese language settings, and offers up to 10 save data slots. Watch the announcement trailer and first gameplay below. View a set of screenshots at the gallery. Visit the official Japanese website here. Footage available from 6:48 to 20:03. Shown running on PlayStation 4.